Since bottoming at $42.05 per barrel June 19, 2017, West Texas Intermediate (WTI) crude oil has been on a tear. Earlier this month, WTI crude oil prices raced above $70.00 a barrel for the first time in more than three years. While crude oil prices still fluctuate on a daily basis, they are consistently trending higher, with the 50-day moving average of $67.54 forming a support line. The bullish recovery in the oil market came as a surprise to many media pundits. After all, up until very recently, the pundits were quick to say that the "world was awash with oil." Supplies were so high that prices could not move higher. It's simple supply and demand. 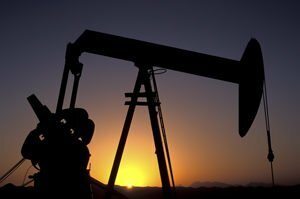 Oil stockpiles started to decline about one year ago, according to the U.S. Energy Information Administration. That was just before crude oil prices bottomed. 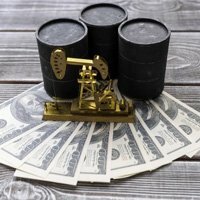 With supplies tightening and the global economy, led by the United States, starting to pick up steam, the math alone suggests higher prices for oil. The recent U.S. pullout from the Iranian nuclear deal (JCPOA) also plays a role, albeit a small one, according to Money Morning Global Energy Strategist Dr. Kent Moors. While sanctions against Iran do not resume for months, and the response from Europe, Russia, and China is unclear at best, they still will serve to at least cast some uncertainty on the future supplies of oil. Traders consider any forward interruption – perceived or actual – in Iranian crude export flow as upward pressure on global prices. Even the unilateral American sanctions will make it more difficult for Iran to bring its oil to market. They will reintroduce barriers to hard currency, making the financial aspect more difficult. And they will impose penalties on shippers and insurers who continue to work this market. In short, this will place the United States at odds with Europe, bringing further uncertainty to bear. But again, Dr. Moors thinks this will only be a small factor in the price of oil. The real problem, he says, is that other major supplies of oil are in danger. From Venezuela to Libya and Nigeria, many OPEC members are facing significant contractions in production. While U.S. production can pick up the slack of an Iranian slowdown, it is not enough to offset the rest. Yet global demand continues to increase. This should be enough to keep oil prices on the move higher throughout the summer. And technically, there is little resistance to the advance until about $80 for WTI. The good part is that it is not too late to get in on this trend to profit. While oil has been on the move since early 2016, a major shift is currently underway in terms of hard asserts versus paper assets. This relationship is a long-term juggernaut and has favored paper assets – stocks and bonds – since commodities crashed in 2008. But evidence shows that this tide is turning. That means crude oil investors are in the right place at the right time.